Upcoming real estate technologies will be aimed at enhancing online search tools and speeding up transaction times. Real estate agents will need to accommodate more informed homebuyers who have access to thousands of property listings online. Housing markets across the country will make way for multifamily properties and an increase in green building practices. Emerging technologies and shifting homebuyer demographics have begun to shake up the real estate industry in recent years. These factors have influenced all aspects of traditional real estate transactions ranging from the way properties are listed to closing speeds. This has left many investors wondering where the future of real estate is headed, and how to best adapt to these changes. Keep reading to learn how to prepare your business for the future of real estate. The real estate industry is experiencing rapid changes as a result of new technology. According to Forbes, nearly $13 billion was invested in real estate technology in 2017. This increase in capital should serve as a signal that the real estate industry is preparing to undergo rapid changes with the creation of new digital resources. Most notably, investors should be prepared for the ways online property listing platforms, smartphone apps and virtual reality will impact all aspects of real estate transactions. Investors will soon begin to see an increase in property listing websites, all aimed at enabling aspiring or existing property owners to buy and sell with ease. While platforms like Zillow and Trulia have been out for several years, similar platforms will continue to be released. The popularity of online listing platforms also means buyers and tenants will have strong ideas of what they are looking for when searching for properties. Therefore, Investors hoping to stay ahead of the curve will need to adapt to buyers (and sellers), who are able to access hundreds of property listings at the touch of a button. The development of real estate smartphone apps will also continue to change the industry. However, unlike property listing websites new real estate apps will be aimed at all aspects of the real estate transaction process. For example, existing apps like Docusign and Dotloop already allow real estate professionals to sign and send contracts and other documents on their phones. These apps are expected to continuously grow in popularity as investors search for ways to conduct deals on the go. Investors are also likely to see the release of apps aimed at speeding up the closing process. These will focus on a number of areas like helping buyers estimate mortgage rates, share documents, and even transfer deeds or titles. To learn more about the best real estate investing apps of 2019, be sure to read this article. Virtual reality is yet another technology that will influence the real estate world in coming years. Though investors may be familiar with the idea of 3-D walkthroughs and 360 degree pictures, these resources are expected to increase in popularity. By giving potential buyers a new way to experience homes, investors can increase the number of property viewings without the time and hassle. Recorded 3-D property tours will allow buyers to tour homes without ever going. Investors will be excited to know virtual reality softwares will not be exclusive to property viewings and may even help rehabbers plan renovations. For example, many apps could soon be aimed at allowing investors to preview staged rooms and remodels from their own phones. The future of virtual reality in real estate even has the potential to help property developers and investors interested in raw land investing. According to Forbes, property developers should expect virtual reality programs that allow users to see finished properties before construction even starts. As a whole, investors will see the launch of new technologies aimed at improving real estate transactions for all parties. Rather than being worried about new resources, investors should think of these upcoming changes as a way to make business more reliable and efficient. A growing disconnect between homeowners and real estate agents is among the biggest changes happening in real estate investing. Many find themselves asking: Is it better to list a property by yourself, or enlist the help of a professional agent? To this day, real estate agents have yet to become obsolete, and it is hard to imagine that their services will ever not be needed. They simply offer too much value to the average homeowner. For starters, their negotiating skills and knowledge of local markets will always help sellers receive the most money for their property. Homeowners that take on the task of selling a home could lose money with one single mishap. At the very least, the buyer’s agent may talk down the price. Any number of things could go wrong without a professional agent to represent your side of a transaction. Outside of selling a home for its maximum value, agents have the potential to sell faster. In addition to marketing campaigns, there is a good chance they already have a competent buyers list. The right agent could have a buyer in place before the home is officially up for sale. 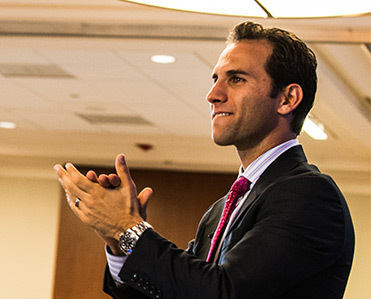 There is no questioning that a good real estate agent is worth their weight in gold, especially for those in the investing industry, but there are a few trends that warrant your attention. Specifically, the advent of For Sale by Owner (FSBO) sites are beginning to carve out a niche among a select population of sellers. According to a survey conducted for Redfin, approximately 17 percent of homebuyers in the last two years didn’t feel the need to enlist the services of a real estate agent. The same survey, made possible by SurveyMonkey Audience, identified an increasing trend in discounted commissions. Of the homeowners that did use an agent to purchase a home, one-third said their agent offered incentives in the form of a refund or savings in excess of $500. It is not uncommon for Realtors to charge six percent of the sales price for their services. On a $230,000 home (the median value of a single-family house), commissions can reach upwards of $14,000. At that rate, the prospect of foregoing a Realtor altogether becomes very enticing. According to data provided by ForSaleByOwner.com, about half of all homeowners in America would consider selling their home without the help of a Realtor. At the same time, 55 percent of Millennials acknowledged that they would like to use the “for sale be owner” sales model to list their home. “We’re seeing a dramatic transformation of the real estate industry with today’s consumers, especially millennials exerting more control over the buying and selling process than we have ever seen before,” said Lisa Edwards, director of business strategy at ForSaleByOwner.com. Listings on ForSaleByOwner.com increased an impressive 57 percent in spring, the pinnacle of the 2015 selling season, and there is nothing to suggest that the trend won’t continue. It is important to note, however, that most of the sellers reside in the Northeast. Major metros like New York, Boston and Philadelphia appear to be more interested in foregoing the agent experience. Even the National Association of Realtors (NAR) has concurred that FSBO sales are more likely to occur in major metropolitan areas. “Today [sellers] can quickly understand market conditions by using free online pricing tools, reviewing recently sold homes and homes currently for sale online without the help of an agent,” said Edwards. Sellers have found sites like Redfin to be extremely helpful. In fact, Redfin charges sellers 1.5 percent of the sales price, whereas traditional agents can get away with charging twice as much. On a $250,000 home, the difference can save sellers as much as $3,750. There is no denying that online listing services have changed the way people look at selling. Agents, in particular have had to react to the advent of technology. ”Real estate agents are reacting to more competition in the market,” said a Redfin spokesperson, adding that traditional brokers have had to change the way they do business to stay competitive. Of course, there is no reason to believe that any trends will result in the extinction of real estate agents. The creation of FSBO and other websites have made listing a home easier for the average seller, real estate agents still have their place. Real estate housing markets are expected to shift as a new wave of homebuyers hits the market: millennials. According to a study from the Urban Land Institute, millennials have started to enter the real estate world with a focus on suburban areas. While suburban housing developments are nothing new, the future of real estate could include some interesting shifts for these areas. Millennial homebuyers are shown to have a higher interest in walkable neighborhoods and proximity to community resources. This should serve as good news to investors hoping to break into the commercial realm, as suburban areas can represent new markets for mixed use and retail spaces. When it comes to metropolitan areas, real estate investors may begin to encounter renters of all ages looking for increased amenities. In today’s market, parking and trash pick up may be considered amenities, but moving forward these may no longer suffice. The future of real estate will involve an increased focus on added features, like roof access, common areas, and even designated work spaces. 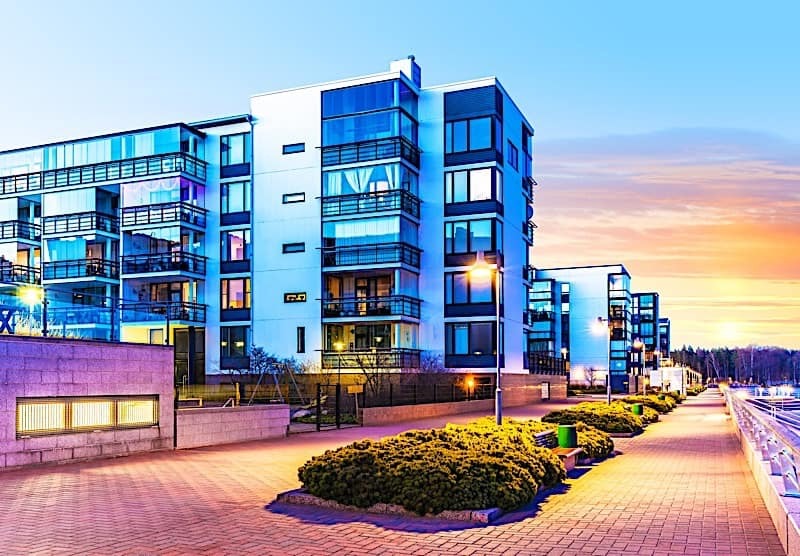 Investors operating multifamily properties may see these changes as early as this year, though they will only continue to evolve. Those hoping to stay ahead of the curve should keep an eye on comparable properties and other neighborhood offerings. The future of real estate will also see a rise in luxury properties. As housing demand continues to rise, inventory (particularly luxury properties) will increase to accommodate home buyers. According to Realtor.com, investors in markets like San Jose, CA; Seattle, WA; Boston, MA; and Nashville, TN will see the biggest increases. However, investors across the country should still expect to see these changes. Finally, real estate professionals of all types can expect to see an increase in green building practices and eco friendly housing features. 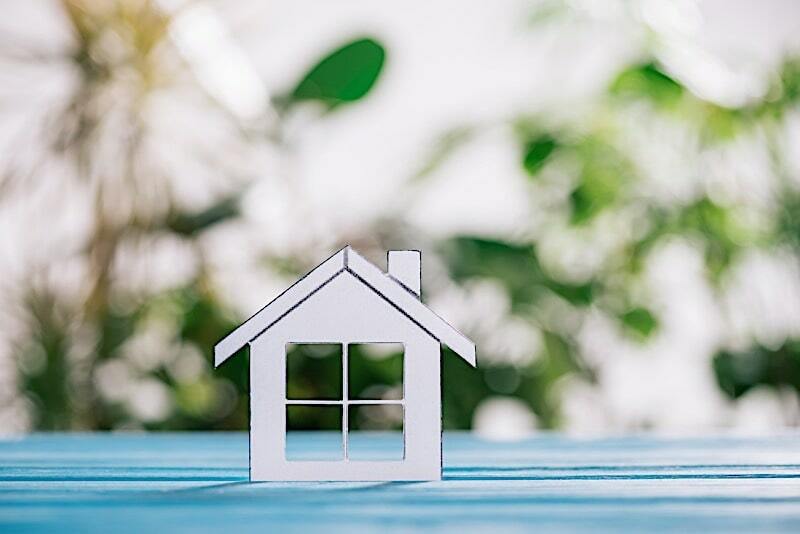 While changes in tax policies may have taken away some incentive for eco-friendly home renovations, investors should not entirely rule out this portion of the real estate industry. According to the National Association of Home Builders, energy efficiency would positively influence the decision of 80 percent of homebuyers. The features included in the survey were Energy Star appliances, above-code insulation and properly insulated windows. Real estate investors with a focus on new construction and flipping houses should keep these features in mind, and attempt to incorporate them when necessary. As a whole, the future of the real estate housing market represents several interesting changes. Investors should keep a pulse on their market areas to know the best time to act on emerging trends. The future of real estate will be driven by new technologies, buyer agent relationships and changing homeowner demographics. Real estate investors hoping to achieve success will need to learn to thrive amidst these changes. With new software aimed at speeding up closing timelines, online listing sites resulting in more informed buyers, and new age groups entering the real estate market, the industry is transitioning in big ways. When it comes to the future of real estate, investors have a lot to look forward to. What technologies do you think will have the biggest impact on the future of real estate? Share some predictions in the comments below.